Reggae and Jungle are genres of music with strong roots in the UK, and Aries has immersed himself in both cultures which has heavily influenced his whole ethos to production and DJing. It's this integrity and dedication to the scene which has earned him respect amongst his peers meaning he now flies the flag internationally for modern day sound system culture. Aries' sound combines vintage Jungle sensibilities with traditional Reggae music polished off with modern day production techniques. The finished product is his own Dubwise strain of the UK's one true homegrown genre, Jungle. He broke through to the A-list of the Jungle world after releasing music on legendary record labels; Congo Natty, Dread and V Recordings, plus Aries has recorded with a whole world of vocal talent that does by no means stop at Top Cat, David Boomah, Solo Banton, Nanci & Phoebe, Demolition Man, Jah Mason and Johnny Osbourne. His DJing is in demand across the globe having played high profile DJ sets in most major Countries. Aries' projects vary from his solo exports to collaborations with other producers from Gold Dubs and Kelvin 373 to the Chopstick Dubplate crew, which is the world's first international Reggae Jungle sound crew and is fronted by himself, Jacky Murda and Tuffist. 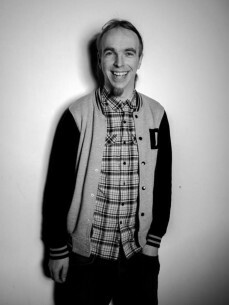 Recently he has also been touching on other projects from Hip Hop to Dubstep which still all tell an ode of his roots. Within the reputedly closed doors of the Jungle Drum & Bass world, true support is carried by your peers and it is they who validate your career and Aries has been met with open arms by figureheads of the scene. In the mainstream, Aries receives radio play from BBC's Toddla T, Zane Lowe, Rob Da Bank and DJ Hype plus his Youtube views reach the millions. This is all from one of the most humble people you are likely to meet in the music business.